Fenergo, the leading provider of Client Lifecycle Management software solutions for investment banks, capital market firms and private banks has announced the appointment of Colm Heffernan as Chief Operating Officer (COO) of the fast-growing company. With over three decades of industry experience, Heffernan joins Fenergo from Adobe Systems, where he spent 15 years in a variety of senior roles. Most recently, he was Senior Director with Adobe Global Services, with responsibility for the strategy and direction of the $400m Global Services division. In Fenergo, Heffernan will be responsible for the strategic direction of Fenergo’s Global Professional Services division, with specific remit over Client Success, Project Delivery, Pre-Sales, Client Support and Client Training. Speaking on the appointment, Marc Murphy, CEO of Fenergo, said “I am very pleased to welcome Colm to the Fenergo team. Colm brings a huge amount of experience to Fenergo and the role of COO, which will help us scale the business to face off to the growth demand we are experiencing. This is really good news for our clients as he will be primarily focused on delivering a world-class service to all Fenergo clients”. 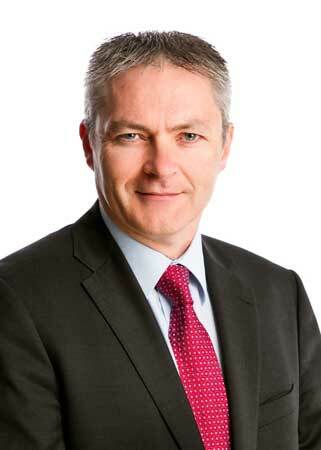 Heffernan’s appointment comes as Fenergo enters a new financial year with strong anticipated growth. “Financial year 2015 was a stellar year for us,” says Murphy. “Our top line revenue growth of 98% last year follows growth of 102% the previous year. In the last 12 months, we doubled headcount across all our regions – New York, London and Dublin. Last September, we opened a new APAC office based out of Sydney, Australia, and relocated a team to grow the business down the there. We have invested heavily in our people and our product, and on top of all this, we’re profitable and cash-generative”. Murphy attributes the company’s continued growth to the regulatory and data challenges being faced by financial institutions and the rising demand for regulatory onboarding and client lifecycle management solutions. In March 2015, Fenergo published the results of a research study which found that institutional client onboarding can take up to 34 weeks and cost up to $25,000 per client, with data quality, operational efficiencies, regulatory compliance and client experience representing the biggest challenges. Fenergo’s business outlook for FY16 will see the company recruiting for 55 new positions across professional services, client support and software development.